Geologically, the Sivalik Hills belong to the tertiary deposits of the outer Himalayas. 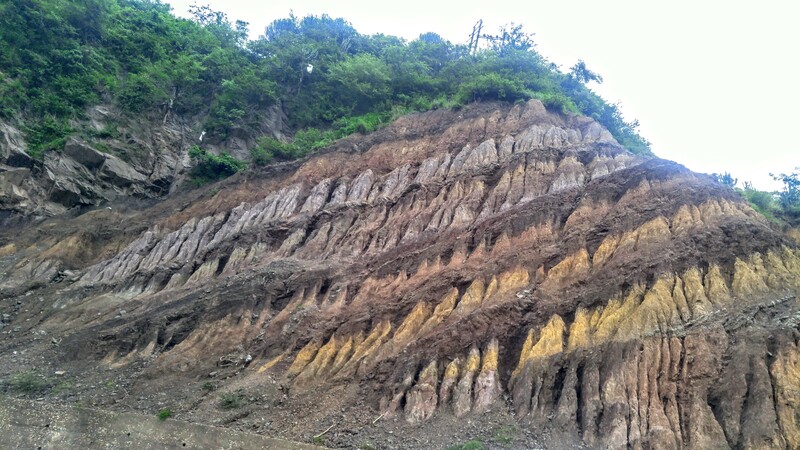 They are chiefly composed of sandstone and conglomerate rock formations, which are the solidified detritus of the great mountain range to their north, but often poorly consolidated.The remnant magnetization of siltstones and sandstones suggests a depositional age of 16-5.2 million years with Karnali Riverexposing the oldest part of the Sivalik Hills in Himachal. You don’t mentioned about average thickness in km .in Nepal.